The best prevention is that you DON'T CLICK ON THE POP-UP when it comes up, we are not even sure that clicking the X in the upper right hand corner of the window is ok, Blocking Pop-Ups on your Computer might keep you from getting these to begin with. If you have one of these pop-ups appear, you can Rick Click on the Task Bar and open Task Manager and then 'End' all Internet Explorer application tasks to make it go away / or simply Restart your computer - do either of these methods without clicking on the Pop-Up in any way! If you have fallen victim to a full scareware, malware, spyware, adware or virus 'hijack' of your computer. Don't lose sleep over it - we can remove it and get your computer back to normal again. About half the time our standard $75 Tune-Up service takes care of them, however sometimes it become a manual removal process that can end up costing $90. What you need to know: Misleading applications can sneak onto your computer as you surf the Web. Once installed, scammers use them to commit fraud and identity theft. Here's what you need to know to guard against spyware and other misleading applications. Don't put up with a Slow Computer any longer! - Call Now! "Bring your Computer or Laptop back to life and avoid expensive repairs"
Adware, Spyware, Scareware, Malware and Viruses are all picked up from the Internet and really slow down your computer or worse, they can compromise your on-line security allowing confidential account numbers, usernames and passwords to be stolen. 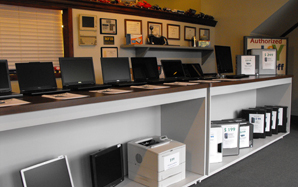 We will go thru your entire hard drive searching for and removing Adware, Spyware, Malware and Viruses. We can not guarantee that this flat-fee service will totally remove all these threats but 90% of the time it does, additional services and charges are sometimes required. $99 - Computer Tune-Up. Includes the full Adware, Spyware, Malware Removal Service - Plus we will run numerous Microsoft maintenance tools to check, cleanup and reorganize all the system, registry and program files on your computer to bring it back to life. Plus we will physically clean out the computer dust that collects in it causing it to heat up and wear out. Yes it's a deal! 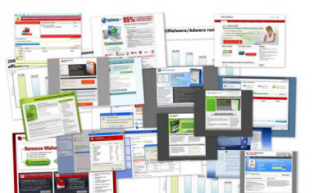 $89 - Adware, Spyware, Malware and PopUp Removal. Adware, Spyware, Malware and Viruses are all picked up from the Internet and really slow down your computer or worse, they can compromise your on-line security allowing confidential account numbers, usernames and passwords to be stolen. We will install free programs that go thru your entire hard drive searching for and removing Adware, Spyware, Malware and PopUps. And we will install an AntiVirus program if yours is not current. The entire process takes several hours in our shop. We can not guarantee that this will totally remove all these threats but 95% of the time it does.